Is there anyone in? 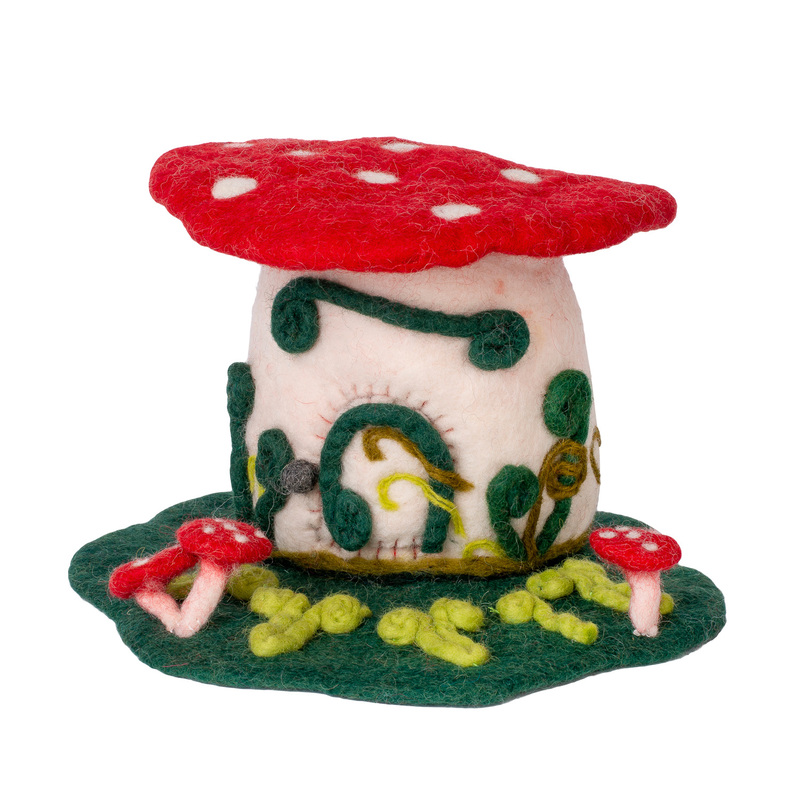 Your child will adore this super-cute handmade felted fairy house made from 100% wool, plus love and dedication, by talented people over in Nepal. It's great fun to play with and equally nice just sitting on a shelf or windowsill, waiting for the fairies to arrive and move in. A great way to fire your little one's imagination, it's covered in woolly fly agaric mushrooms and sits on a deep green forest floor with scatterings of pale green leaves.